The Minister Responsible for Citizenship and Minister Responsible for External Affairs of the Antigua and Barbuda government have been sued in the lawsuit filed by Choksi. 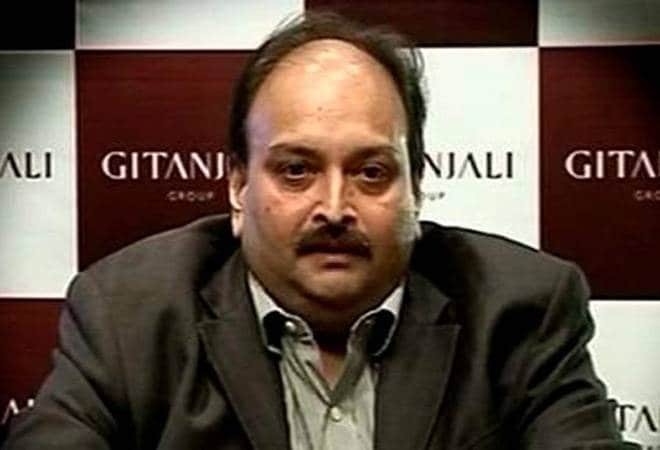 Absconding diamantaire Mehul Choksi has sued the Antigua and Barbuda government as its Ministry of External Affairs is examining the plea by Indian authorities to extradite him. 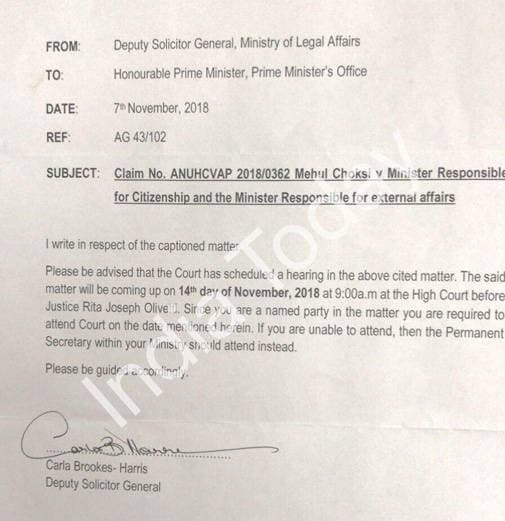 A letter dated November 7 from the office of Deputy Solicitor General to the Prime Minister's office indicates that the Minister Responsible for Citizenship and Minister Responsible for External Affairs of the Antigua and Barbuda government have been named in the lawsuit filed by Choksi. The letter asks the named parties to be present in the court for hearing in the lawsuit, or send the Permanent Secretary within their ministries. The matter will be heard on the morning of November 14 at the High Court before Justice Rita Joseph Olivetti. Although it is not clear why Choksi has decided to take the Antiguan government to the court, it could be related the fact that the same government is weighing the proposal of handing him over to India. The Central Bureau of Investigation (CBI) and Enforcement Directorate (ED) have submitted an extradition plea before the Antigua and Barbuda authorities which now being looked into by the Ministry of External Affairs there. Indian External Affairs Minister Sushma Swaraj had met Foreign Minister of Antigua and Barbuda E P Chet Greene in September on the sidelines of the 73rd session of the UN General Assembly and raised the issue of extradition of Choksi. Greene had assured Swaraj on behalf of his Prime Minister that their government will fully cooperate in the matter of extradition of Choksi to India. This could very well be enough to make Choksi nervous, who had fled to Antigua and Barbuda after orchestrating the Rs 14,000-crore scam at Punjab National Bank with his nephew Nirav Modi. He became a citizen of the Caribbean country by the way of Citizenship by Investment after his Indian passport and citizenship were revoked on account of the banking fraud charges against him. Since then, India has been looking to extradite Mehul Choksi under the Antiguan laws that allow it for Commonwealth countries. Choksi still has some breathing space though, as the Department of Public Prosecutions (DPP) is yet to take a call on his extradition. It is now up to the DPP to take a call on whether Choksi is in the wrong or not, and not the Antiguan Solicitor General. As per earlier reports, the Antiguan government has also stated that Choksi has the right to defend himself against the charges levelled against him like any other Antiguan citizen.